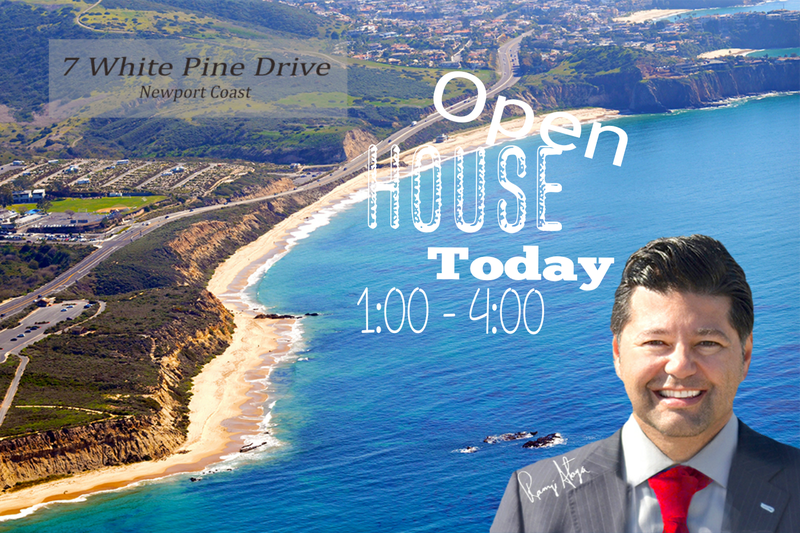 7 White Pine Drive, Newport Coast for $2,888,888. Join us at an open house for this lovely home today, Sunday 10/23/16 from 1:00 – 4:00! Beautiful front row single-level home with panoramic views of Newport Harbor, Buck Gully, and the ocean beyond. Located in prestigious guard-gated Santa Lucia, this 3-bedroom home is filled with natural light; 12’ ceilings throughout. One bedroom is currently configured as an executive office. The Master suite includes a romantic fireplace, beautiful cedar-lined walk-in closet, and a lovely sitting area that opens to the back patio. Outside there is a Jacuzzi with a waterfall and barbecue area. The open floor plan is perfect for indoor/outdoor living, especially for hosting elegant parties, where guests will enjoy the amazing ocean and canyon views.